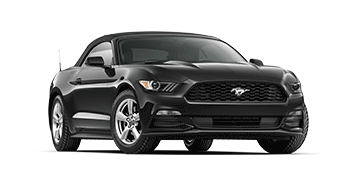 Whether it was your uncle’s 69 Mustang Mach 1 or that third generation convertible parked in front of your high school, we’ve all imagined driving a Mustang. One of the most historic cars in automotive history, the Mustang captures the spirit of those who drive to drive, not to get to point B. Like the wild animal from which it takes its name, the Mustang has been an engineered beast on the track and the street since 1962. 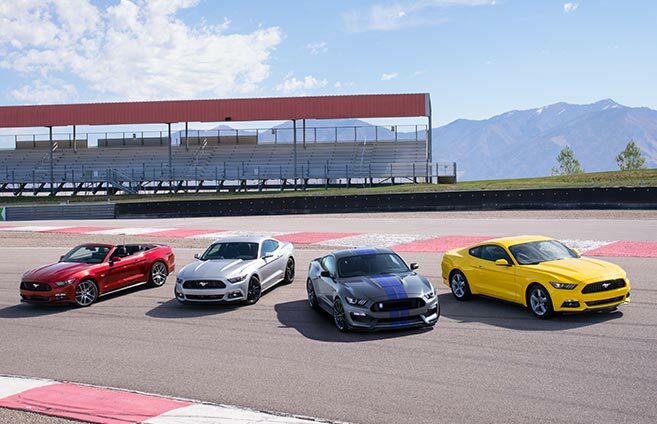 In the 2017 lineup, each available engine delivers at least 300 horsepower. 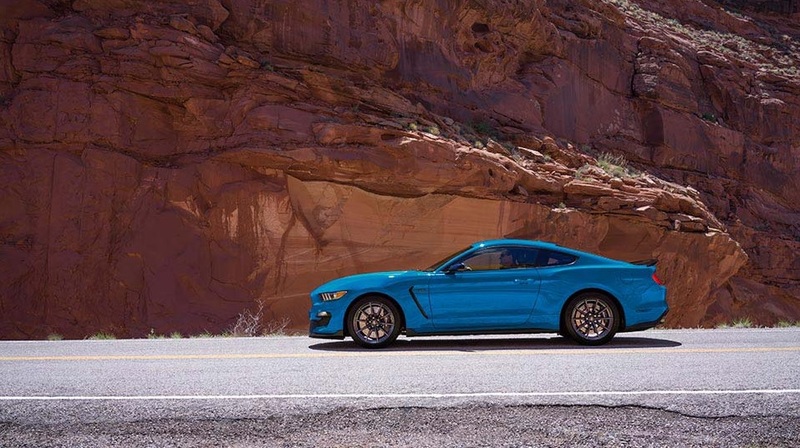 The 5.2L V8, ups the ante to a gratuitous 526 hp and 429 lb.-ft. of torque, making the Mustang somehow even more fun to drive than to look at longingly in the showroom window. And lots more to see for yourself! 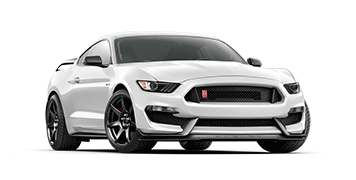 The Shelby GT350 is engineered for adrenaline-pumping performance. Its 5.2L V8 with flat-plane crank kicks out 526 hp and 429 lb.-ft. of torque and is one of four Mustang engine choices – all designed to overwhelm the senses with pulse-raising torque and a legendary roar. 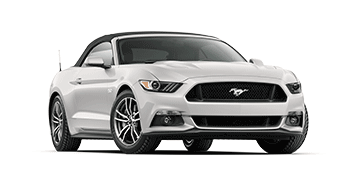 So buckle in and put your hands on the wheel of a Mustang and you’ll feel one thing above everything else: pure exhilaration. Have fun deciding: the 3.7L V6 offers up 300 hp and 280 lb.-ft. of torque, standard on V6 models, while the 2.3L EcoBoost churns out 310 hp and 320 lb.-ft. of torque, standard on EcoBoost models. 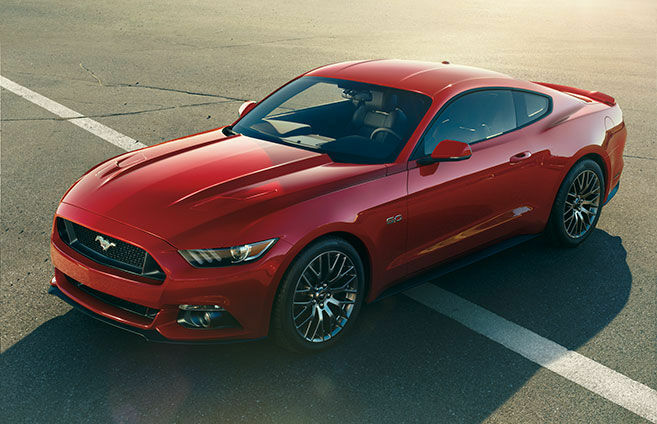 The 5.0L V8 kicks out 435 hp and 400 lb.-ft. of torque, standard on GT models. Last but certainly not least, the 5.2L V8 delivers 526 hp and 429 lb.-ft. of torque, standard on the Shelby GT350 and Shelby GT350R. 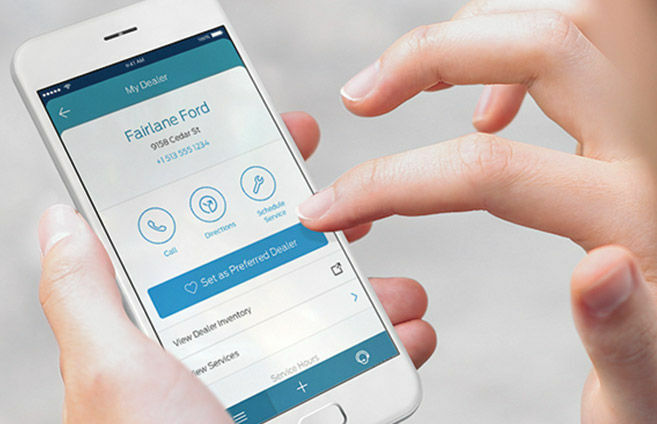 Track Apps. Smoke ’em if you got ’em. 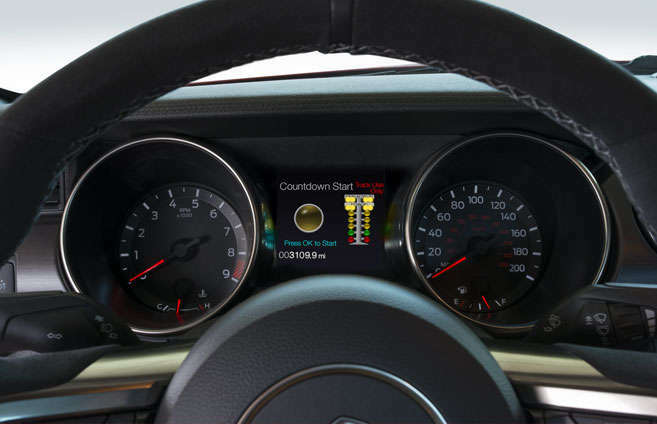 Standard accelerometer displays lateral and longitudinal g-forces, acceleration times plus automatic and countdown starts. 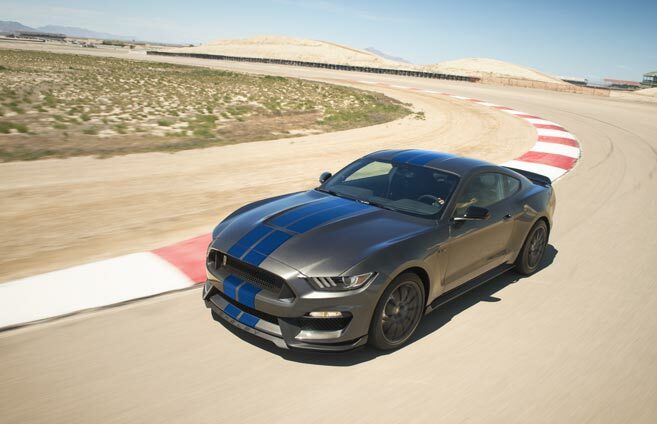 Track Apps features Electronic Line-Lock (GT and GT350 models only) and Launch Control (GT manual and GT350 only). Electronic Line-Lock keeps front brakes locked while Mustang is in gear to warm up the rear tires. 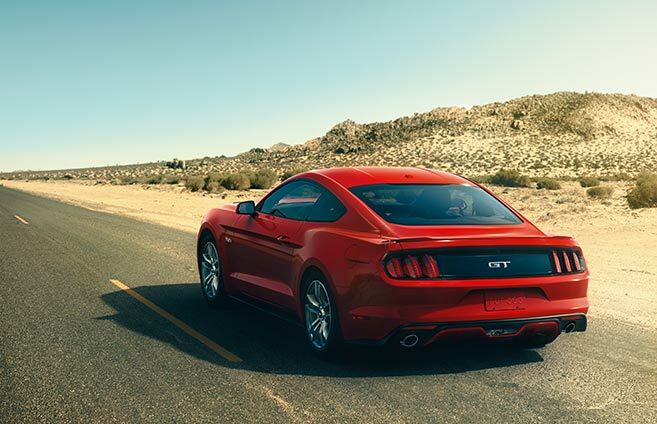 Launch control integrates brakes, traction control and powertrain control to help ensure smooth starts.